If the founder of the Soviet space program Sergei Korolev had had his way, the triumphant mission of Valentina Tereshkova in June 1963, would not have ended launches of the Vostok spacecraft. Almost a year earlier, plans had been made to launch follow-on Vostok missions aimed to demonstrate to the skeptical Soviet Ministry of Defense that manned spacecraft could be a useful weapon for the military and not just a propaganda tool. Ironically, at the same time, Vostok's unmanned twin -- the Zenit spy satellite -- was about to give the military much simpler and cheaper alternative to manned spacecraft. 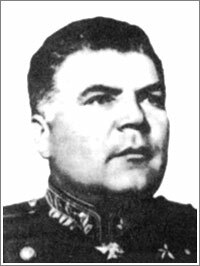 To make matters worse, the Soviet Minister of Defense Radion Malinovsky did not want to hear anything about space, forcing Korolev to use his influence in the Kremlin to force more Vostoks down Malinovsky's throat. On Dec. 11, 1962, after several months of feet-dragging, Radion Malinovsky and the Commander of the Air Force Konstantin Vershinin finally signed a letter to the Central Committee of the Communist Party requesting follow-on Vostok missions beyond already approved Vostok-5 and Vostok-6. The letter stated that the capabilities of the Vostok had not been yet exhausted and the spacecraft could push the duration of manned missions in a quest to understand medical and biological problems of space flight. The document also proposed a 30-day mission with animals onboard as early as 1963. The powerful Military Industrial Commission, VPK, chaired by Dmitry Ustinov, endorsed the program on February 8, 1963. According to the document, three of four new ships to be built in the first half of 1963 would be used for a 6-, 8-, and 10-day manned missions, while the fourth spacecraft would fly a 30-day unmanned flight with an animal onboard. (574) The next day, Ustinov sent a formal request to the Central Committee of the Communist Party to fund four extra Vostok spacecraft during the first half of 1963. (509) At the time, the head of cosmonaut training Nikolai Kamanin planned for four or five Vostok missions in 1963 and two or three launches in 1964. Kamanin still hoped that the expansion of various military experiments onboard Vostoks would eventually convince the Air Force to adopt them as an operational weapons system. However "operational" missions would also require the military to form a 200-person strong unit that would take over from the industry the pre-launch processing of manned spacecraft. The Ministry of Defense, already burdened with the support of the manned space program, resisted this new responsibility. On March 18, 1963, the Secretariat of the Central Committee chaired by Frol Kozlov reviewed the future plans for Vostoks but made no decision, except for throwing the Vostok processing into the Air Force's lap. Kozlov "advised" Malinovsky to staff the new processing unit at the expense of disbanding one of the air bases. On the way out of the meeting, Malinovsky yelled at Vershinin for his tacit support of the idea: "Why are you sticking your head out, he will leave you without pants! What's the hell we need that space (program) for?" (574) Next day, a powerful Kremlin apparatchik Ivan Serbin, responsible for the defense industry, informed Soviet leaders about official proposals to build four Vostoks in the 2nd and in the 3rd quarter of 1963. One such spacecraft could carry a cosmonaut on a record-breaking, 10-day mission, Serbin wrote. The Presidium gave a preliminary go head to the production of four new Vostoks before the end of 1963. The gathering also required the Ministry of Defense to produce a plan for future Vostok missions by March 26. However, ultimately, the Air Force had no choice but to compromise. Two days later, during a meeting of top military officials on the matter, Biryuzov proposed to bite the bullet and order four Vostok ships for "training missions," followed by another batch of vehicles for testing military operations in space! Kamanin was obviously ecstatic about such a prospect! Biryuzov then signed Directive No. 216888, which required military officials in a 10-day period to propose tasks and usage for the Vostok-3A spacecraft and to plan organizational steps, in case the Air Force gets full responsibility for Vostok missions. The military essentially surrendered on the production of four extra Vostoks, but still hoped to fight off the responsibility for their missions. While bureaucrats were fighting their battles, Korolev proposed several important upgrades for future Vostoks. First of all, the ship's main braking engine, whose failure could leave cosmonaut stranded in orbit, would now be backed up with a pair of solid-propellant motors strapped to the front of the descent module. With this redundancy, there would be no longer need to insert Vostoks into very low orbits ensuring that the air friction of the upper atmosphere would cause them to plunge back to Earth before their consumables run out. Korolev also mulled the possibility of using same strap-on solid motors to change an inclination of the mission to a polar orbit, probably to give the military a new capability for global observation of the Earth surface from pole to pole. Even more exotic experiments considered by Korolev's engineers involved shooting weapons in space, obviously, for the benefit of the military. Secondly, the Vostok would now be equipped with ion sensors, in addition to Sun trackers, which would allow the attitude control system to orient the spacecraft on the night side of orbit and in the daylight. As a result, the vehicle could be placed into right position for a deorbiting burn at any moment even when it is flying in the Earth's shadow. Last but not least, the main parachute of the descent module would be augmented with rocket motors, which would make the touchdown much softer and eliminate the need for the pilot to eject from the capsule. The ejection seat would now serve only as an emergency escape system, Korolev wrote in March 1963. He noted that the proposed Vostok missions would advance the development of the new generation manned spacecraft system within the Soyuz project. Kamanin and Korolev again returned to the planning of four future Vostok missions on July 11, 1963. They now hoped to launch a modified Vostok in February or March 1964 on a 10- or 11-day unmanned flight carrying test animals to as high as 600 or even 1,000 kilometers. It would followed by three manned missions lasting up to 10 days and conducting an extensive program of military experiments. Korolev told Kamanin that all future Vostoks would have to be conducted by the Air Force, as he had been overloaded with other tasks. On July 26, on the heels of the Vostok-5 and Vostok-6 success, a major space industry meeting reviewed the future of the Vostok project. Most participants agreed that Vostoks still could be used for high-altitude flights, long-duration missions and for military and scientific experiments. Korolev announced that since the new-generation Soyuz would have to wait until 1965, Vostoks would also continue flying in 1964. He said that two or four more vehicles would have to be built in addition to four already approved. On Sept. 17, 1963, Kamanin formed a new group of cosmonauts including Pavel Belyaev, Vladimir Komarov, Georgy Shonin, Evgeny Khrunov, Dmitry Zaikin, Viktor Gorbatko, Boris Volynov and Aleksei Leonov. There were yet to be assigned a specific mission, but provisionally, Kamanin instructed them to begin training for the most ambitious Vostok mission -- a simultaneous flight of two ships lasting from eight to 10 days. According to Kamanin, neither the Academy of Sciences, nor the industry had a strong will to implement the project, let alone Kamanin's own bosses at the Air Force. All plans were still in the air by the end of November, but Kamanin and Korolev were now "plotting" to lobby for four additional Vostok spacecraft to be built during 1964. They committed to formulating the flight assignments for all missions in December 1964. The Air Force held its first meeting on the issue on November 27. A joint dual flight lasting 10 days. The Soviet Minister of Defense Radion Malinovsky wanted the military out of manned space flight business. 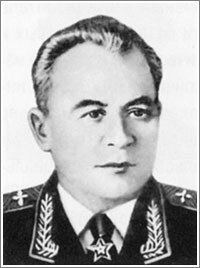 The commander of the Soviet Air Force could provide only lukewarm support for the Soviet manned space program. 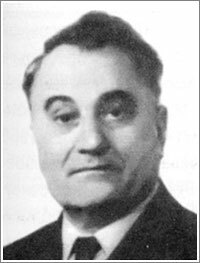 Ivan Serbin, the official responsible for the defense industry within the Central Committee of the Communist Party, took key decisions on the early manned space flight effort in the USSR. 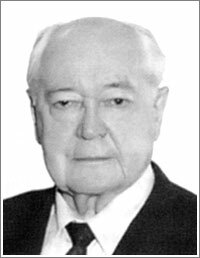 From 1961, Leonid Smirnov chaired a State Commission of the Soviet of Ministers for Defense Technology, GKOT, which coordinated responsibilities among various ministries involved in space program.